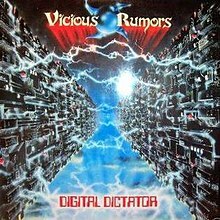 Several industry sources have told All That Shreds Magazine that Bay Area Metal Band Vicious Rumors are in discussion to reissue their 1988 album, Digital Dictator. Vicious Rumors, led by founder and guitarist Geoff Thorpe are expected to tour in support of the 30th Anniversary of Digital Dictator with dates in the U.S. and Europe later this year. Vicious Rumors are recording a follow up to 2016’s Concussion Protocall tentatively to be released this summer. Stay tuned to All That Shreds Magazine as we confirm these reports.